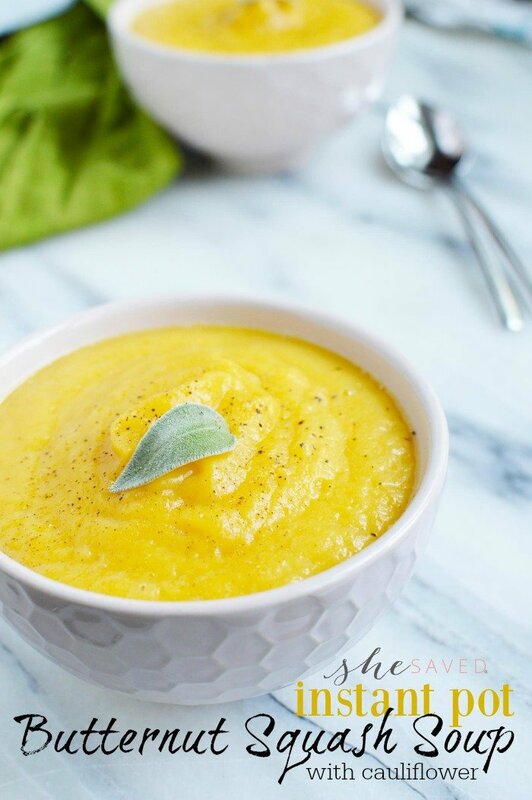 Fall is my favorite time of year, it’s the beginning of all of the comfort foods and this Instant Pot Butternut Squash Soup with Cauliflower certainly qualifies for that! 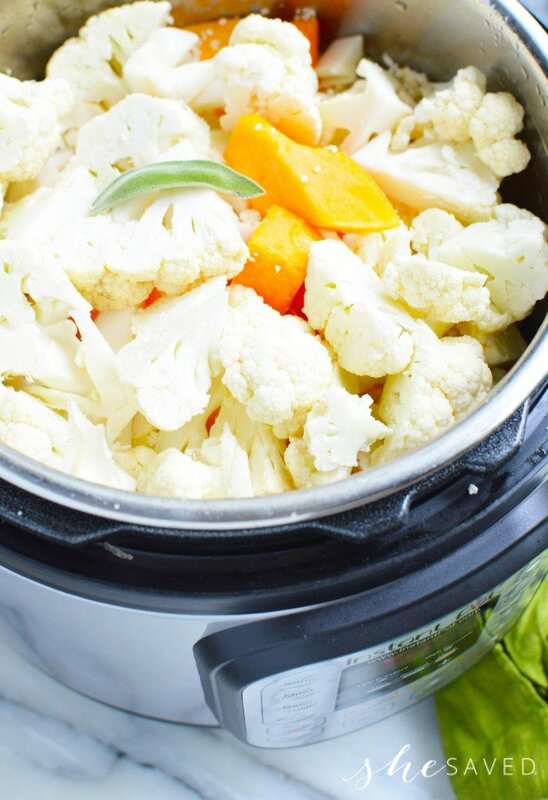 It’s so easy to make and, thanks to the addition of the cauliflower, is such a hearty and filling soup! 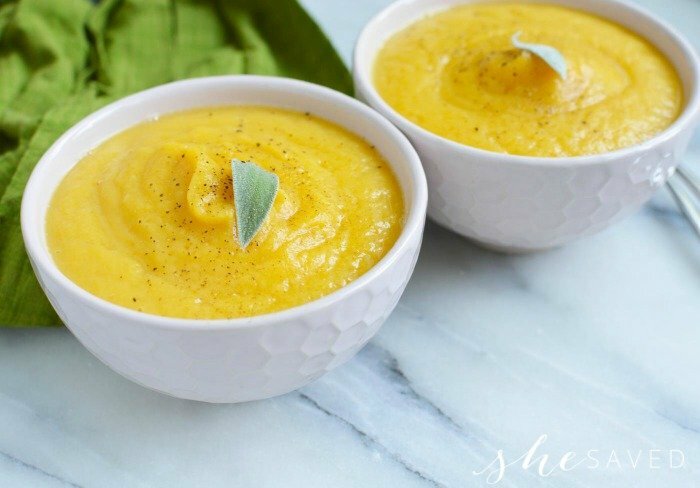 Great for those chilly fall days and this Instant Pot soup recipe also works well as a side to a meal or as a light meal itself. 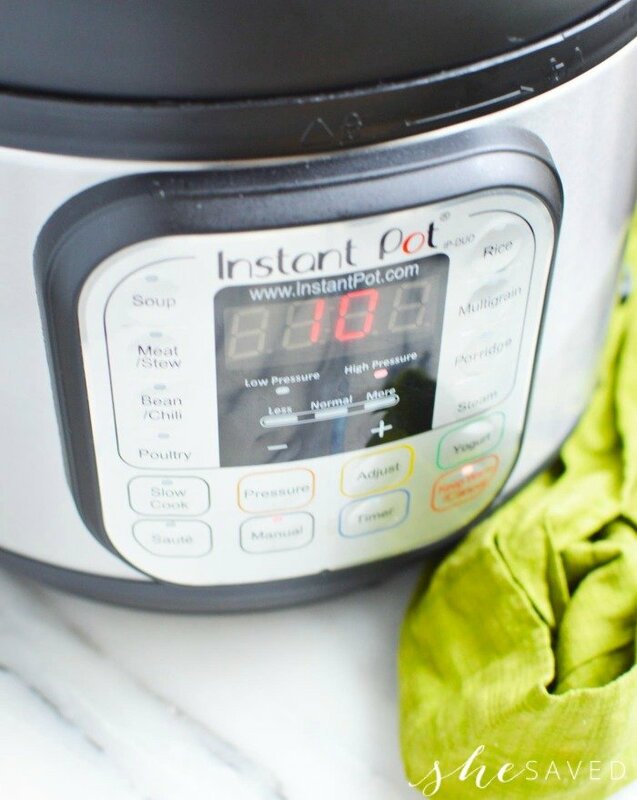 If you are looking for more Instant Pot recipes, make sure to out all of the other Instant Pot recipes that I’ve shared, and I’ll be sharing more soon too! One of my favorites is this Instant Pot Italian Soup is another of our favorites, so make sure to check that out. Thoroughly wash the vegetables and sage. 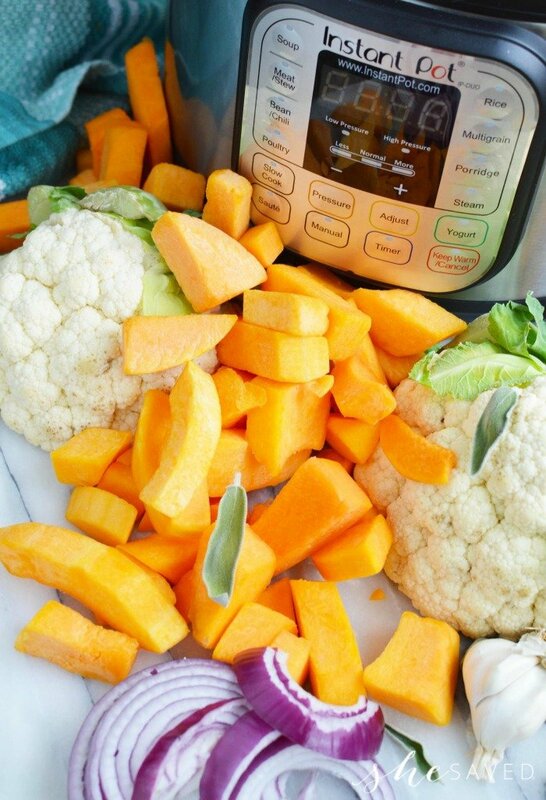 Cut the squash into uniformly sized pieces, do the same with the cauliflower. These two vegetables don’t have to be the same size. Heat the pot using the sauté mode, add the oil and then sauté the onions, garlic and sage. Pour in the liquid to deglaze the bottom of the pot and then add in the cut vegetables. Twist on the locking lid and cancel the sauté mode. Select the manual setting for 10 minutes. At the end of the cook time you can carefully cover the valve with a damp single layer cloth and quick release the pressure. 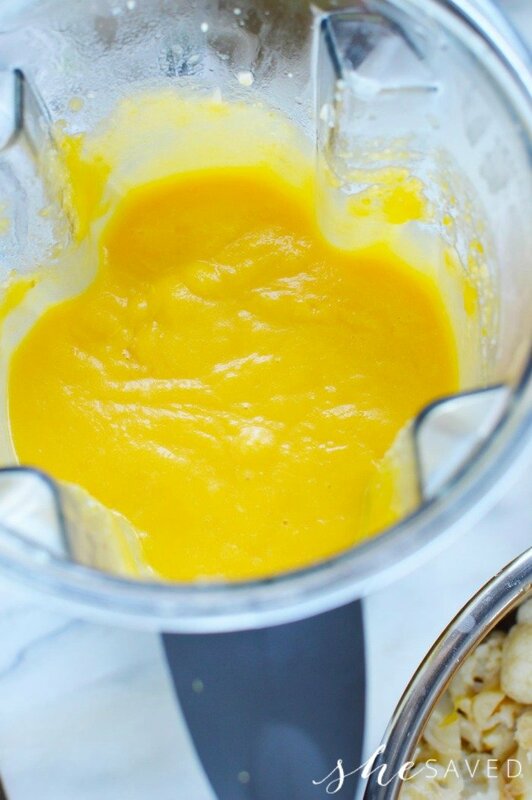 Transfer the veggies and liquid to your blender and whip until completely smooth. The vegetables should be almost mush so this will likely only take a minute to do the entire pot. 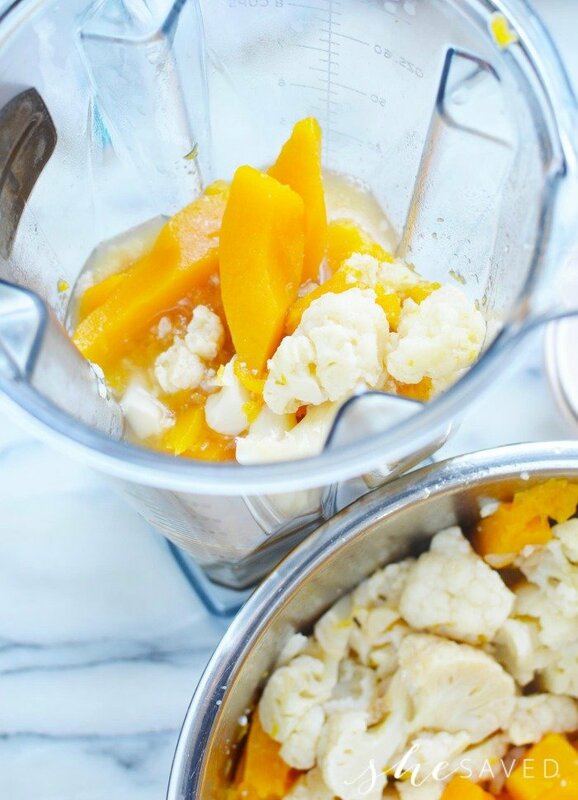 Pour right from the blender pitcher into your bowls. Add any additional desired seasonings, an optional fresh sage leaf and serve. « Hasbro Marvel Legends Series Infinity Gauntlet Electronic Fist at GameStop + GIVEAWAY!! 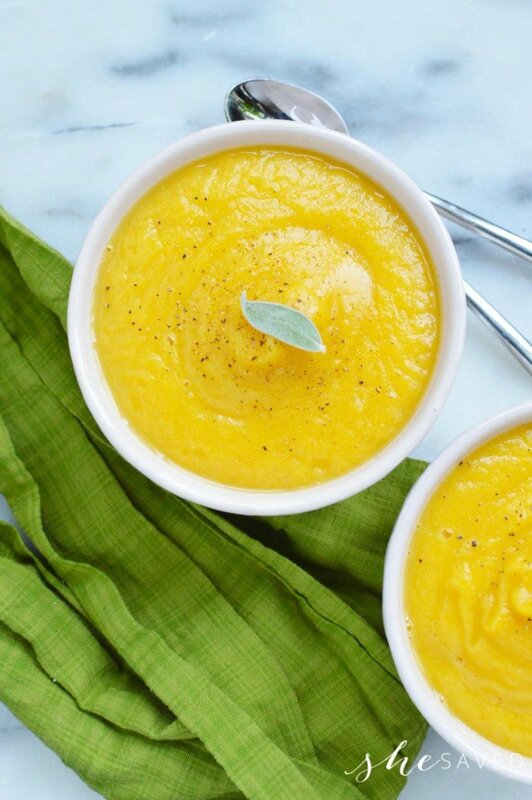 This soup looks delicious and perfect for a cold day when all you want is comfort food. This sounds delicious. Thanks for the recipe.